When you entrust your vehicle to the Auto Sport Wheel & Tyre workshop, you also put your life and those of your loved ones, into our hands. You can rest assured that you and your family’s safety is always our first priority. We won’t try and sell you what you don’t need or charge you the earth for it. Quite the opposite, you will drive away with the safest option, at a reasonable price. Mark, Kevin & Walter will be at your assistance. We specialise in passenger, light truck & 4x4 vehicles. 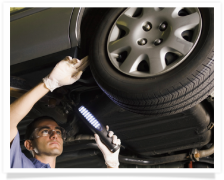 Our speciality is wheel alignment. 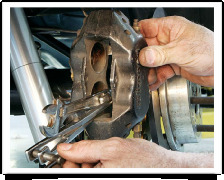 Check the Land Cruiser forum for wheel alignment reports. Contact us now! View What we offer here!